Lemuel Gulliver has always wanted to see the world, but when he's stranded on a strange island he meets the tiny people of Lilliput. Now his adventures can really begin! Lemuel Gulliver has always wanted to see the world, but when he's stranded on a strange island he meets the tiny people of Lilliput. Now his adventures can really begin! When Gulliver is shipwrecked, he finds himself stranded on an island of little people: Lilliput. 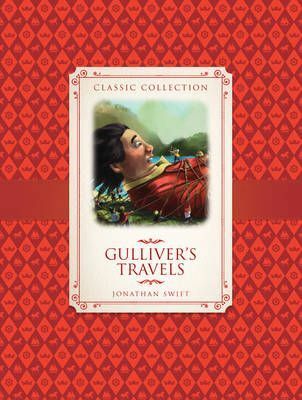 As he begins to gain the Lilliputians trust, Gulliver finds himself caught up in a feud between two islands and when a fire ravages the city, he must quickly escape to the enemy's side. Will anyone at home believe the story of Gulliver's Travels? Carefully retold in clear contemporary language, and presented with delightful illustrations, these favourite classic stories will capture the heart and imagination of young readers. By retelling the story in a shorter, simpler form, children will find these books highly engaging, and the colour illustrations help with both comprehension and interest level.